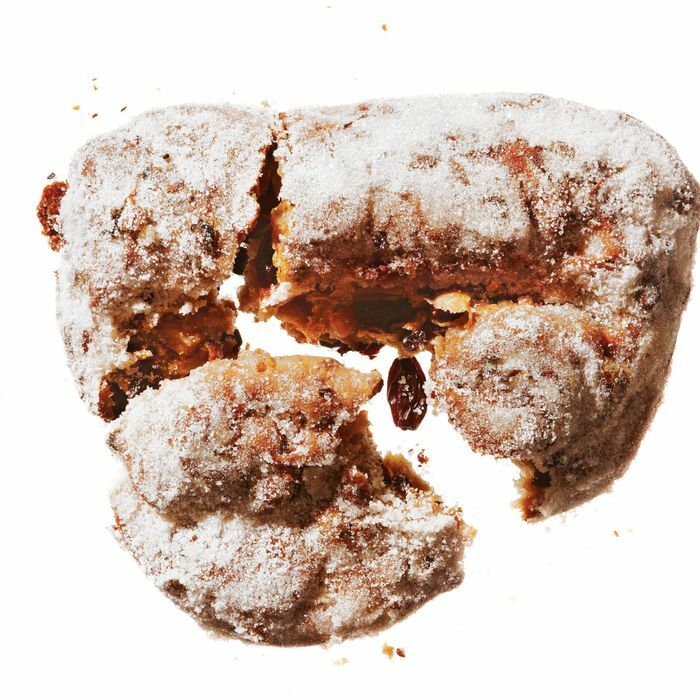 For a holiday bread that started out in fifteenth-century Germany as a flavorless flop, the stollen has come a long way. The earliest versions were made from oats, flour, and water and seem more like something you’d feed to a horse or an inmate than lavish upon a group of Yuletide revelers. Thankfully, things took a turn for the better when Pope Innocent VIII lifted the butter ban on Saxony and the stollen evolved into a rich, dense, marzipan-enhanced treat worthy of its own festival at the Dresden Christmas market. Nevertheless, many New Yorkers are wary of the lumpy loaf, associating it with fruitcake, and not in a good way.